According to a report from the Crimson, Harvard Dean of Admissions William Fitzsimmons retook the stand as the trial’s first witness on Tuesday. Fitzsimmons was asked to explain why Asian-American applicants received significantly lower scores on the office’s internal “personal rating,” which is used by admissions officers during their holistic evaluation of candidates. Reporters at the trial wrote that Fitzsimmons answered questions mostly in a “monotone” voice. Fitzsimmons was asked to respond to one comment that a Harvard admissions officer wrote about one Asian-American applicant. “He’s quiet, and, of course, wants to be a doctor,” the officer wrote. 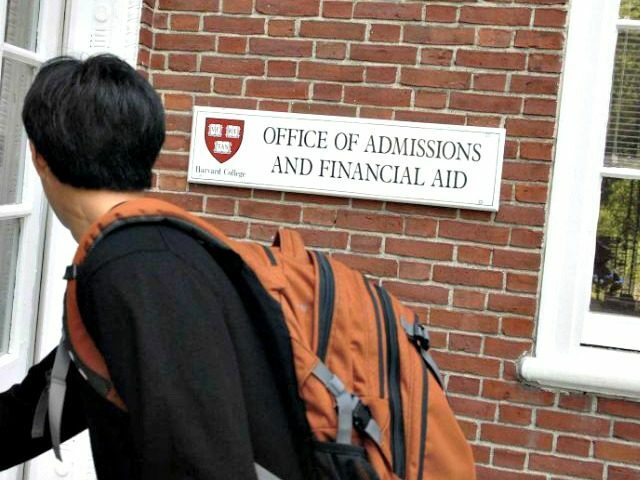 Fitzsimmons, who has been the Dean of Admissions at Harvard for 32 years, also claimed that white students often have stronger teacher recommendations than their Asian counterparts. “The strength of the teacher recommendations and counselor recommendations for whites is somewhat stronger than those for Asian-Americans,” Fitzsimmons said during the questioning. Stay tuned to Breitbart News for more coverage on the trial. It is expected to last three weeks.